Therefore it was on the November 18th 1979 a Kennel Club Registration Form was completed by and posted by me, it consisted of Andrew Thomson’s signature as Founder Chairman, he had joined us for this second push, and my own signature as Founder Secretary , along with twenty-five Founder Members . Also most importantly the signatures of the Chairman and the Secretary of the North of Ireland West Highland White Club , our sponsoring society. The reason for the formation of a club (which we knew off by heart ) was required and most importantly the title applied for was also included. 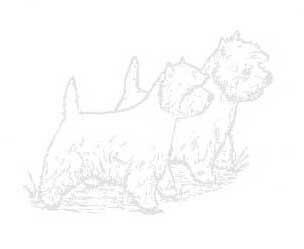 On January 16th 1980 I received a letter from Rosemary Smart the Manager of the Show Department (who at all times was most helpful) informing us that the Southern West Highland White Terrier Club had been added to the Kennel Club register which meant that we had full status. Dated February 1st I received a list from the Treasurer Jean Johnson giving details of 132 paid up Founder Members and from then on the Club developed and the membership grew by leaps and bounds. Starting from scratch there was so much work to be done, therefore the original Officers and Committee were chosen from Founder Members and for their diverse talents and their area of residence, the Club was to function mainly from the Reading area. The first Officers and Committee were as follows. The President Muriel Coy (Cedarfell) who was one of the original instigators and who worked assiduously from day one, Chairman Andrew Thomson (Ashgate), Treasurer Jean Johnson (Wistmill) and Secretary Marjorie Dickinson (Kirkgordon), The Committee Members: Vivienne Cook (Grierson), Sheila Morgan (Ballacoar), Maureen Murphy (Whitebriar), Brenda Strivens (Angilgate), Margaret Webster (Kilbrannon ), Hettie Wysocki (Sursumcorda), Bill Duckett (Foreston), John Hodsoll (Furzeleigh), Roy Hooper (Yorsar), Barry Joel, Bill Parish (Cleator) and Adair Torbet (Newtonglen ). A couple who did not wish to commit themselves to committee work, but who nevertheless were indispensable in the early days were Frank and Thelma Lees (Carillyon), They offered their lounge for Committee meetings, searched for suitable venues to hold our shows and fixed road signs to them.